When I say that our members come from diverse industries, I am not kidding. Stella is not only from a super exotic place (Iceland), she also runs quite a unique concept and has made a success of it since arriving in Brussels almost two years ago. 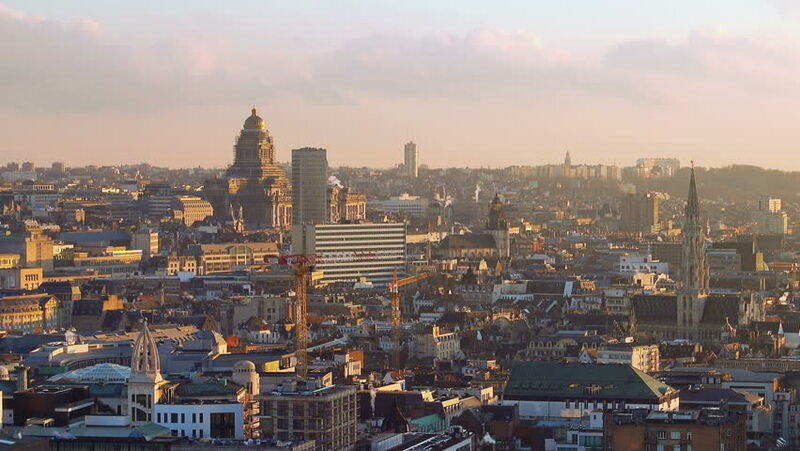 Stella organises walking tours of Brussels and will give you a whole new view of our city. ‘She was super friendly, very clever and we just had the best experience. I would highly recommend this tour for everyone!’ Stella, this is one of your raving reviews on Tripadvisor. How are your tours different from other guided tours? I was repeatedly finding myself having the conversation “is there really something to do or see in Belgium?” with people who have never visited or only been here on short business trips. 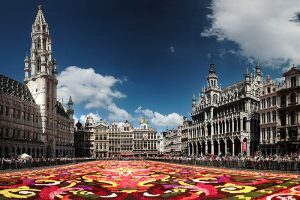 In my view, Brussels is one of the most misunderstood cities in Europe. In a way, I had become an advocate for the country and city because I simply love it myself. Since my mother language is Icelandic, I decided to emphasise that, offering Icelandic visitors a tour in their own language. We all know how much easier it is to listen and discuss topics in your own language, no matter how good you are in English. Also, when guiding your fellow countrymen, you have a better insight in what could interest them, make connections or compare to something from their own culture. It simply creates a relaxed atmosphere. That is not to say that I only guide in Icelandic. I also speak Swedish and English so why not offer the tours in Swedish and English as well! On top of that I tell stories from my own personal experience having lived one year in Bruges when I was a child, then in Brussels as a teenager around the turn of the century (It just sounds so funny to say it like that) and finally now again since the summer of 2017. All in all, a personal and Nordic approach to the history and culture of Belgium. You told me once that you are a Wikipedia nerd, do you have any tips for remembering all these things about the city? Ahh, that´s a good one! The facts, stories and tales I have no problem remembering simply because I find them so interesting. I am not so good at remembering dates and in what year something happened, a challenge for a guide for sure! This may sound silly or strange and it’s a bit hard to explain. I first try to connect it to something on a personal basis. I connect dates, months or even years to, for example, birthdays of family members. Then I add or subtract from that. Like if one my parents was born in 1961 and something happened in 1861, it’s simple to subtract a century or so! On top of that I have favorite numbers like 6 and 9, so if I see them, I have an “anchor” and can use my system with that. I know this sounds way more complicated than just remembering the year and the date, but it works for me! You’ve been at The Library less than a month now. How is coworking effecting your work-life balance? It does create more of a distinction between the two, now that i am not only working from home. It really helps to leave the house and the distractions like the to-do list at home, and to concentrate only on what i’m doing for my business. On top of that it is very energising to meet others who are doing completely different things but still learning from them at the same time. It´s mind blowing to see the creativity, resourcefulness and entrepreneurship of others. For more information about Stellar Walks or to book a tour, contact Stella directly.